Fashionable Stamping Challenge No. 4 is Tags. 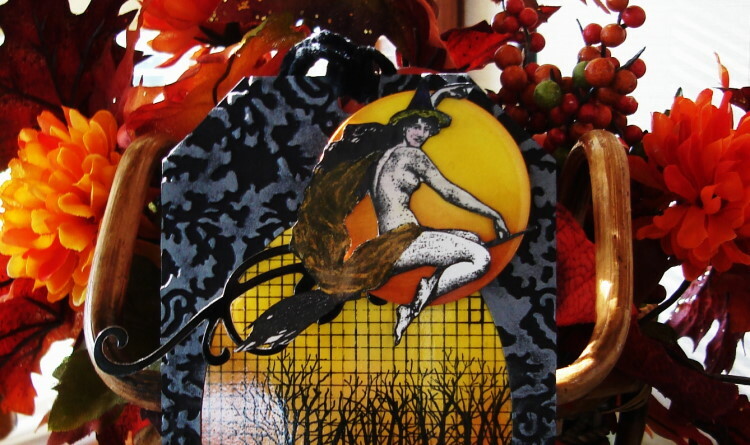 I choose to make a Halloween Tag using Cuttlebug Highlights on flat black cardstock and Distressed inks on Glossy cardstock. My stamps are from Third Coast Rubber Stamps and trees are from Ann-ticiaptions. Background stamp is new from Hero Arts. I added two Spellbinders Dies and one Martha Stewart punch. Hope you have time to pop over to Fashionable Stamping Challenge and join us in a fun Tag Challenge. Thanks again for popping in today. Come along and play with us. Stamping Hugs Vada. Vada, this is some really spooky fun! Love framed background, so clever! Thank you for joining us at Fashionable Stamping Challenges! Wow, Vada, that's fantastic. Wonderful Halloween feeling. Thanks for joining the Fashionable Stamping Challenges. Holy Cow, Vada thats awesome!!!!! 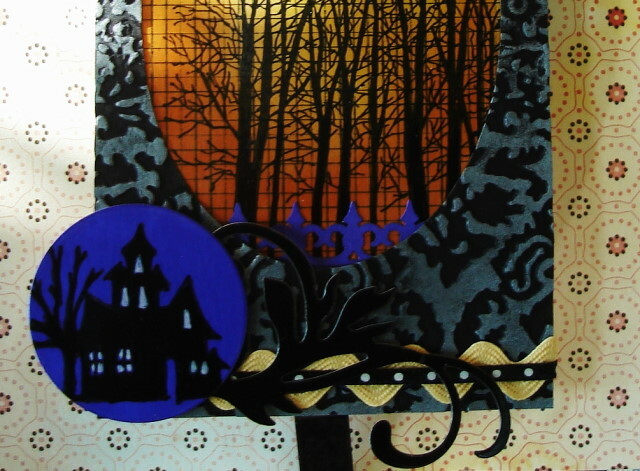 Congratulations on making the Top 3 for the Fashionable Stamping Challenge (Ribbon/Lace). Fabulous to see you joining us again with this outstanding tag. Hallowe'en is most definitely in the air. Vada...this is terrific! 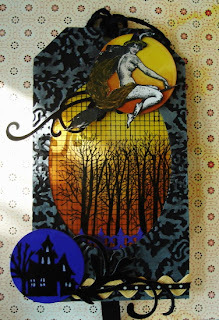 Wonderful colors, as always....and you have really gone all out to include a variety of shapes and textures on this tag. Great fun tag, love all the images and the background you have created. Fabulous! Thanks for joining Fashionable Stamping Challenges this time. Hi Vada, Awesome tag! 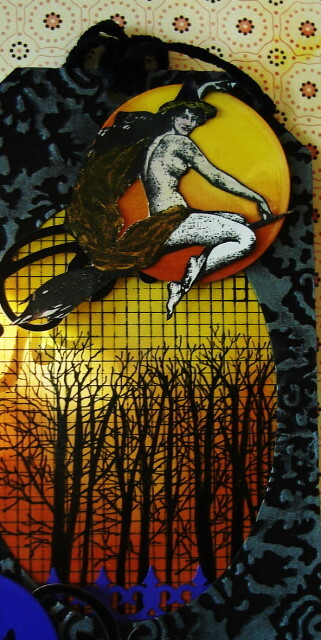 I love the witch on the broom flying in front of a full moon...so clever. You have used your inks very dramatically and it looks great. Thanks for joining us this fortnight at Fashionable Stamping Challenges. Fabulous tag Vada! Love the vibrant colours and your design! Awesome images! Love it! As we say in New England, "wicked cool"! Wow, this is the most beautiful tag I have ever seen. Absolutely wonderful. You should share it with Val @ Third Coast! A gorgeous tag - really clever use of stamps and colours. GC #117 Chestnut Theme Challenge is “Gal Pals”. GC- #118 “Spicy Supply Challenge”.